Most young women diagnosed with breast cancer do not receive fertility advice, despite the fact their treatment could leave them unable to have children. Chemotherapy can stop the ovaries working for a while or may bring on an early menopause. Charity Breast Cancer Care, which surveyed 170 women under 45, wants all younger women to be referred to a fertility expert at diagnosis. Not talking about fertility options was “unacceptable”, it said. Of the small group of women questioned, only 12% were offered a referral. If the findings of this survey reflect women’s experiences across the country, the charity says, about 5,000 young breast cancer patients could be missing out on fertility care in the UK. Many women are unaware that infertility is a possibility when a woman who has not gone through the menopause has chemotherapy treatment for breast cancer. Grete Brauten-Smith, Breast Cancer Care’s clinical nurse specialist for younger women with breast cancer, said patients should be able to find out before treatment began whether freezing eggs or embryos was a viable option for them. “A consultation with a fertility expert might not mean a guaranteed pregnancy, but we must ensure women have the chance of considering their options. 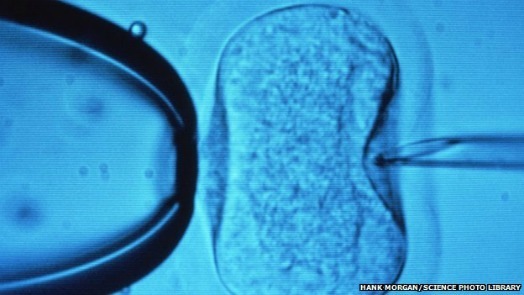 Only then can they make an empowered decision about their future fertility,” she said. Chemotherapy treatment, using anti-cancer drugs to destroy cancer cells, can affect the functioning of the ovaries and reduce the number or quality of eggs available. But the chances of becoming infertile depend on the type of chemotherapy drugs used, the dose given and the age of the patient. Chemotherapy can also cause a woman’s periods to stop, but the younger the patient is when treated, for example under 35, the more likely they are to return. In a small survey of specialist breast cancer doctors and nurses by the charity, more than a third said they did not discuss the risks of treatment with young female breast cancer patients. About 26% of these healthcare professionals also said there was no clear system for directing patients to fertility clinics. Breast Cancer Care chief executive Samia al Qadhi said this had to change. “This is an unacceptable situation as breast cancer is a disease which robs many women of a chance to start a family,” she said. Martin Ledwick, head information nurse at Cancer Research UK, said: “It’s important for all women going through breast cancer treatment to be made aware of the side-effects, including possible fertility problems so they can make informed choices. Why do so many people die shovelling snow?